Whilst there is no magic in securing a job, attitude is absolutely key and whilst you may not have all the necessary skills, with the right attitude you maybe well be given the chance – that chance could change your life. 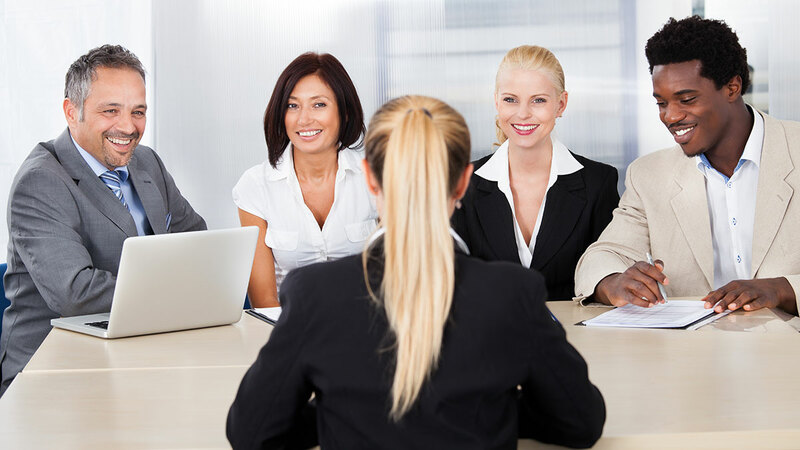 In order to secure your internship, you must first nail your interview. Here are 10 Tips on How to Nail Your Internship Interview. There is a reason why we put the "About Us"section in all the internship/graduate opportunities. This is to help you familiarise yourself with the company. You are going to be asked this question because the hiring manager wants to know what you know about the company. Make sure you know what the company is all about. Also research things like the the industry, industry buzzwords, your boss, and the people you might be working will make you look really knowledgeable and feel more comfortable and confident. Also pay attention also to things like awards, achievements, acquisitions and other important information you find on the company's site. You can always find a way to include that in your response to the HR person during the interview. If you are familiar with the company’s website, you’ll be able to make yourself more of an appealing candidate. Last but not least, practice answering sample interview questions to prepare yourself and gain confidence before the interview.Google is your friend. And also ask for help if you don't understand a questions via social media especially Twitter using #JobAdviceSA. There are so many experts who can help you to understand what the questions mean and how best to answer it. Take extra time to go through your CV. Also, bring extra copies just in case your interviewers don’t have a hard copy. Study your CV and know it well. Also, have a "toolkit", which will include things like directions to the office, copy of the job description, company overview. Put the copies of your CV and map in a neat folder. It's also important to rest up the night before. Being well rested ensures that you are alert during your interview and allows you to present the best version of yourself. Along with a good night’s rest, make sure to eat a light, nutritious breakfast. Getting a bite to eat in the morning will help you wake up and prevent your stomach from growling mid-interview. First impressions are important because they help build a foundation to new relationships. Make sure you look well put together. Your appearance will be the first thing the interviewer sees. Clothes should be clean, plain, and fit properly. Stay away from anything flashy or revealing. Also, make sure to take the time to iron your clothes the night before the interview and have your accessories and shoes ready as well. Ladies, I have found it best to stick to natural tones of makeup. Gentlemen, take the time to shave and look your best. You need to allow for traffic, getting lost, finding a park, finding the building and even more importantly gathering your thoughts. Show up to your interview between ten and fifteen minutes early. If you are running late, take responsibility and let the hiring manager know. Obviously the best thing would be to be really early. But such is life and sometimes, things happen, just take responsibility for your actions. Be polite to administrative staff: Receptionists, secretaries, paralegals, clerks, etc. Treat each of them as if they are the one making your hiring decision. Make sure you smile when you make initial eye contact. Next, offer a firm handshake and introduce yourself. Try to maintain your energy throughout and don’t let your nerves get the best of you. Remember to always stay true to your personality and values and let that shine through. Make sure you answer the entire question, not just the areas that are relevant to you. If you are unsure of something, ask them to clarify! It’s better to be transparent and honest than sell yourself on being able to do things you cannot accomplish. That could cause issues in the future when you can’t complete things you claimed to be prepared for. At the end of every interview, it’s your opportunity to ask questions. Try and have two or three questions at hand to ask before leaving. Questions can be career development, upcoming projects, the company vision or what makes them such a great company to work for. More importantly, listen for questions during the interviews. Basically, be curious, even if it's about something you read about on their website. Asking questions is another way to show the employer you’ve done your research and genuinely have an interest in their company. Always thank the interviewee via email or even a step further with a handwritten thank you note! Companies appreciate the extra effort. Always ask for the interviewer’s business card at the end of the interview. And also find out when they will make their decision. Remember to stay confident in yourself and that confidence will radiate and leave a lasting impression. I hope these 10 steps help you nail your internship interview!